On this episode of the Fanboy Garage, We unpack our thoughts around the Captain Marvel and Avengers: EndGame trailers before speculating about the release of the Spider-Man: Far From Home trailer, Black Panther’s Golden Globe nomination and the cancellation of Netflix’s Daredevil. From there, we jump into the other universe to talk DC; specifically, Aquaman and it’s dominating presence in China and the implications that might have on the U.S. market. In the conversation, we discuss the new path for the DCU and the wave of expected optimism for the film and franchise that is on the horizon. To close, we answer listener questions; tackling our thoughts on the box office success of Aquaman, movies we’re most excited to see as we close out the year, and is Henry Cavill in or out with Amy Adams exciting the DCU. We close the show with a simple snap turning the world to ash! Don’t forget to keep the conversation going by tweeting us @TheFanboyGarage or stalk our pictures on the gram at The Fanboy Garage. 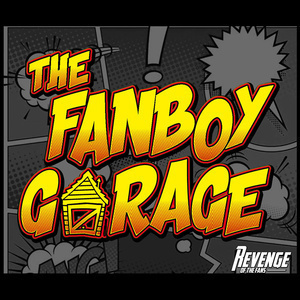 Or you can email us directly at TheFanboyGarage.comto ask questions, listen to previous episodes or check out the latest merchandise (there’s even a Star Wars inspired tee). If you like what you’re hearing, don’t forget to leave us a five-star review.